Haddonstone, the US and UK’s leading manufacturer of fine architectural cast stonework, has an extensive range of classical and traditional architectural designs for new build, period properties, and renovation projects. Haddonstone is a unique form of cast limestone with a surface texture similar to natural limestone. The material matures and weathers like natural stone yet, piece for piece, normally costs significantly less than quarried stone. The ability to mold the Haddonstone material into almost any shape—faithfully reproducing new designs or producing replicas that are virtually indistinguishable from an antique original—has won the company numerous contracts ranging from custom residential homes, restoration projects, retail developments, to leading international hotels. 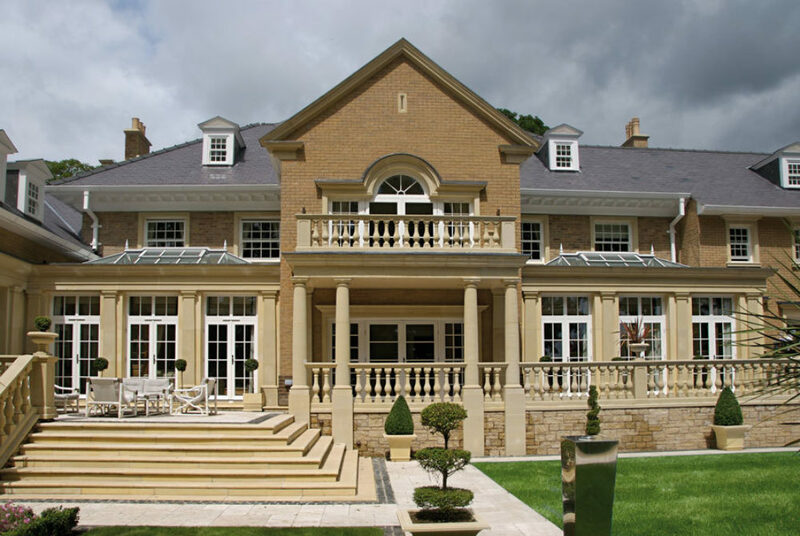 Designs include porticos, cladding, window surrounds, door surrounds, quoins, balustrading and columns. Haddonstone also specializes in creating custom made designs to individual specifications. As well as architectural designs, Haddonstone has a range of fine landscape ornaments from planters, fountains and statuary to birdbaths, sundials and follies. For more information visit the Haddonstone website or request a copy of the inspirational 208 page catalog.